Looking for a Used Highlander Hybrid in your area? 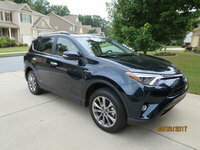 CarGurus has 5,311 nationwide Highlander Hybrid listings starting at $4,495. Toyota is considered a pioneer when it comes to hybrid cars, thanks to the early introduction of the Prius. But the Japanese automaker is also a pioneer when it comes to hybridizing crossovers and SUVs. 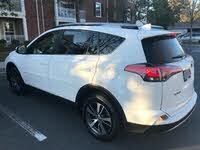 One needs only go back to the first-generation Highlander Hybrid, which provided the space and taller ride height of a crossover while returning higher fuel-economy figures. The Highlander Hybrid has never been a big seller for Toyota, however, making up less than 3 percent of total Highlander sales. For 2017, Toyota has given the Highlander Hybrid a thorough refresh in an effort to boost sales. Trying to tell the difference between the standard Highlander and the Highlander Hybrid is tough—the hybrid variant’s only visual clues are blue-tinted Toyota emblems on the grille and tailgate and Hybrid badging on the front doors. For 2017, Toyota has treated the Highlander Hybrid to a fresh new face comprised of a new upper and lower grille treatment, reshaped headlights, and an updated front bumper. Around back are a new set of LED taillights. The Highlander Hybrid (along with its regular Highlander sibling) is at the top of its class when it comes to interior design. While simple-looking, the cabin’s high-quality build and materials might make you think you’re driving a Lexus. A wide shelf that spans most of the lower dash is a clever touch and provides extra storage space. Comfort ranks very high for those sitting in the front or second row, thanks to supportive seats and ample room for passengers to stretch out. A third row provides additional passenger capacity, but it’s best reserved for small kids due to the high seat placement and limited legroom. Cargo space is average for the class, with 13.8 cubic feet behind the third row, 42.3 cubic feet behind the second row, and 83.7 cubic feet with both rows folded. Those interested in tech features will like what the Highlander Hybrid has to offer. All trims receive 5 USB ports, Bluetooth, a 6.1-inch touchscreen featuring Toyota’s Entune infotainment system, Siri Eyes Free, and a Driver Easy Speak system that allows the driver to communicate via microphone with those sitting in the back seats. Higher trims swap the 6.1-inch screen for a larger 8-inch screen. Entune may not look like the sharpest system in the class, but it’s considered one of the easiest to use, thanks to a simple interface and snappy performance. Sadly, Apple CarPlay and Android Auto are not available. Power for the 2017 Highlander Hybrid comes from an updated Hybrid Synergy Drive system. A new 3.5-liter V6 engine featuring direct injection produces 295 hp and 263 lb-ft of torque. This is paired up with a 167-hp electric motor/generator on the front axle and a 68-hp electric motor on the rear axle for a total output of 306 hp. A nickel metal hydride battery pack, a continuously variable transmission (CVT), and all-wheel drive (AWD) round out the Highlander Hybrid’s powertrain. Those who have driven the Highlander Hybrid say it offers sharper acceleration over the standard model, thanks to the electric motors that are able to produce maximum power at 0 rpm. Fuel-economy figures for the Highlander Hybrid are 30 mpg city, 28 highway, and 29 combined for the LE trim and 29, 27, and 28 for the XLE and Limited. 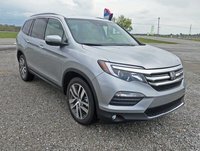 This is a significant improvement over the standard Highlander with AWD, which returns 20, 27, and 23 for the LE and 20, 26, and 22 for the rest of the lineup. Toyota has boosted the Highlander Hybrid’s safety credentials for 2017, with the Toyota Safety Sense P (TSS-P) suite of active safety systems now standard across all trims. TSS-P includes lane-departure warning with steering assist, radar cruise control, pre-collision warning with pedestrian detection, and automatic high beams. The Highlander Hybrid also comes with 8 airbags, traction and stability control, and a reversing camera, and higher trims receive a blind-spot monitor with rear-cross traffic alert. Both the National Highway Traffic Safety Administration (NHTSA) and the Insurance Institute for Highway Safety (IIHS) awarded the 2017 Highlander Hybrid their respective top honors: a 5-star overall rating and Top Safety Pick+ status. The Highlander Hybrid’s exorbitant price tag is likely the key reason why Toyota hasn’t been able to sell many models from year to year. Available only in the Limited and Limited Platinum trims, the 2016 model started at an eye-watering $48,770. That changes for 2017, as Toyota introduces two new trims for the Highlander Hybrid—the LE and XLE—which helps bring the price down to $36,270 for the base LE trim. 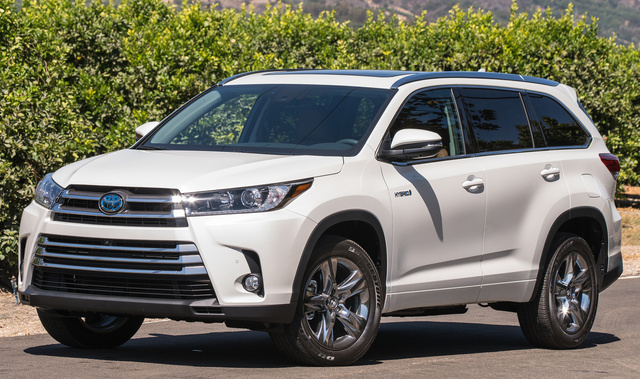 What's your take on the 2017 Toyota Highlander Hybrid? Have you driven a 2017 Toyota Highlander Hybrid? How Best To Determine What To Pay For A Used Car ?